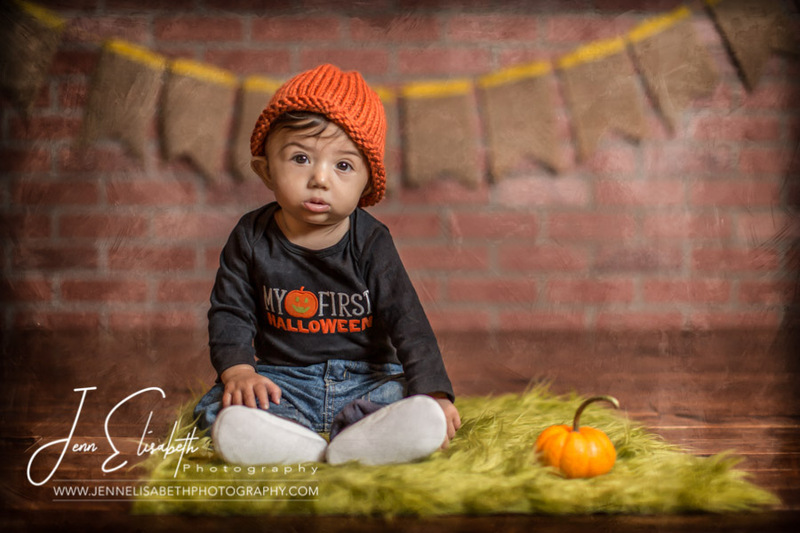 When you have a little pumpkin, you take little pumpkin patch portraits. 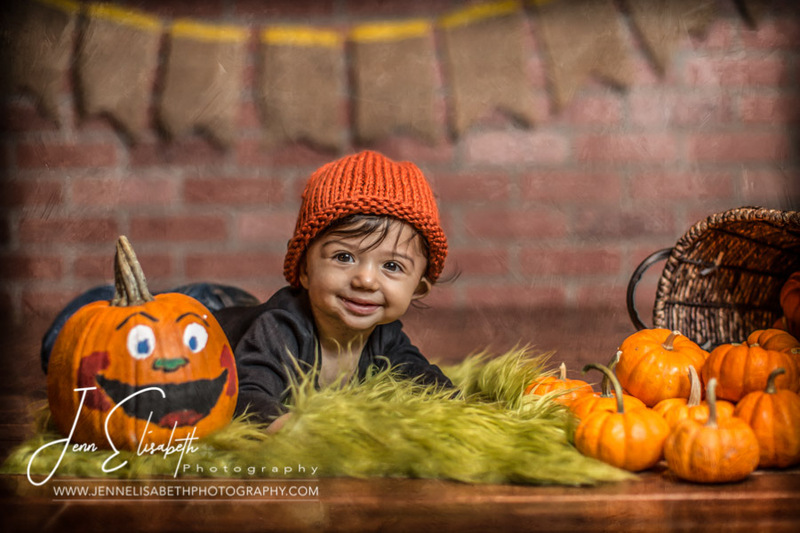 It’s not always fun or practical to take a baby to a pumpkin patch in the fall. 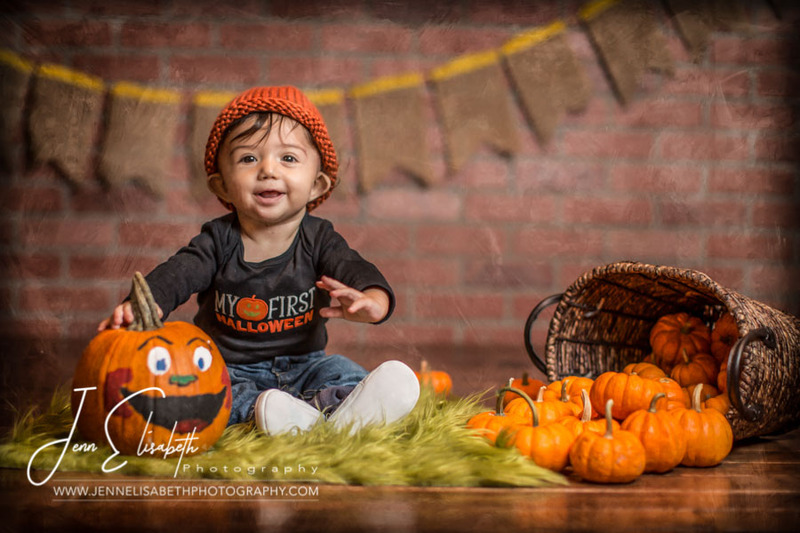 It may seem like a great idea until you get there and the weather has possibly gotten colder than you expected, maybe it’s raining and muddy, your little one wants to crawl all over the ground or cries because he’s confined to the stroller. 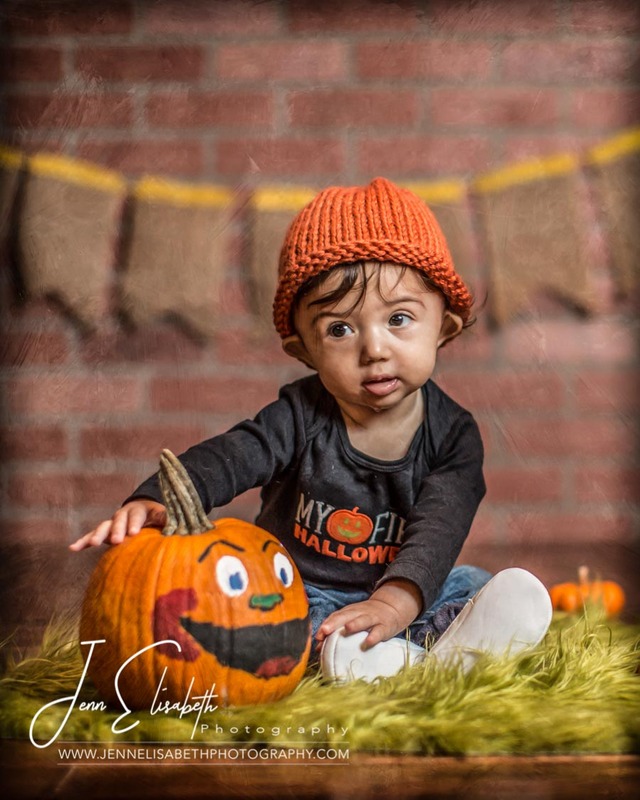 And all you wanted was a sweet picture of your pumpkin with a pumpkin! If this sounds like your worst nightmare than I suggest little pumpkin patches for little pumpkins. Make your own in the comfort of your home, in your yard or on your deck. These cute pumpkins are sold in just about every grocery store during the fall. 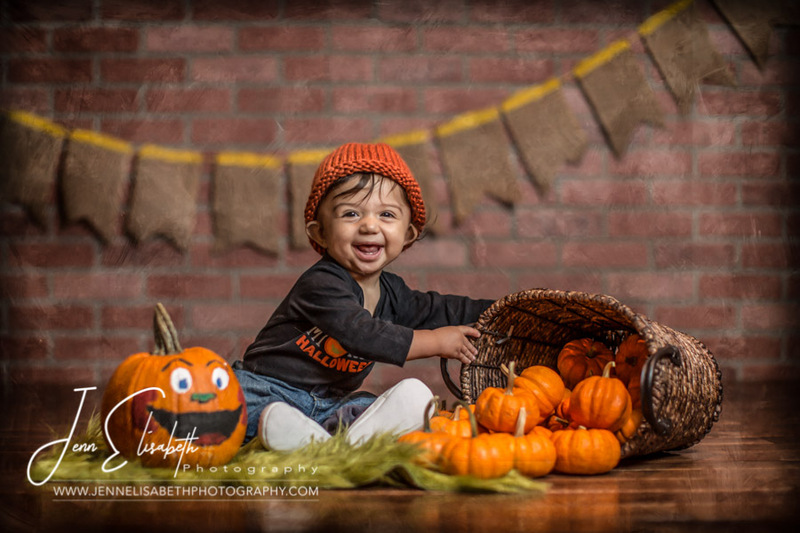 Add a nice basket, a blanket and maybe a larger pumpkin for scale and you’ve got your First Halloween or First Fall memories all set up for beautiful pictures. Don’t have the time or patience for the setup. 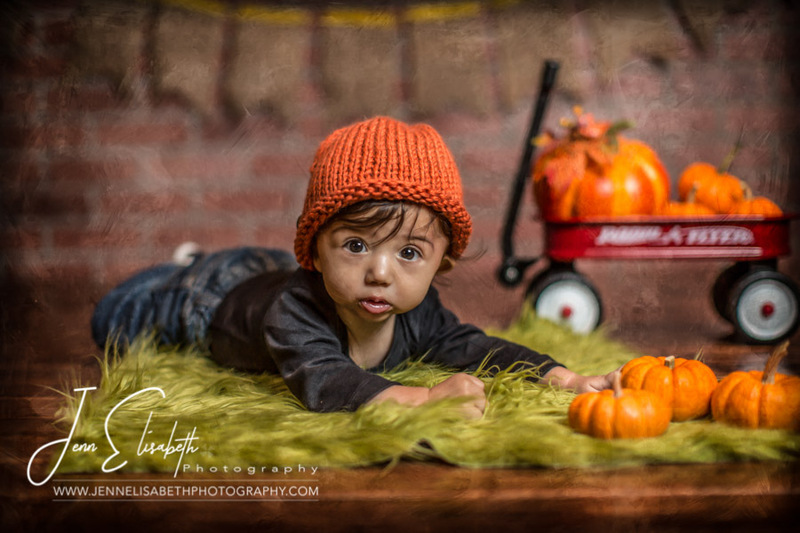 Check out our session schedule for our next pumpkin patch portrait keepsake sessions.